Part 1: BizTalk: Timeline: Development Tools. 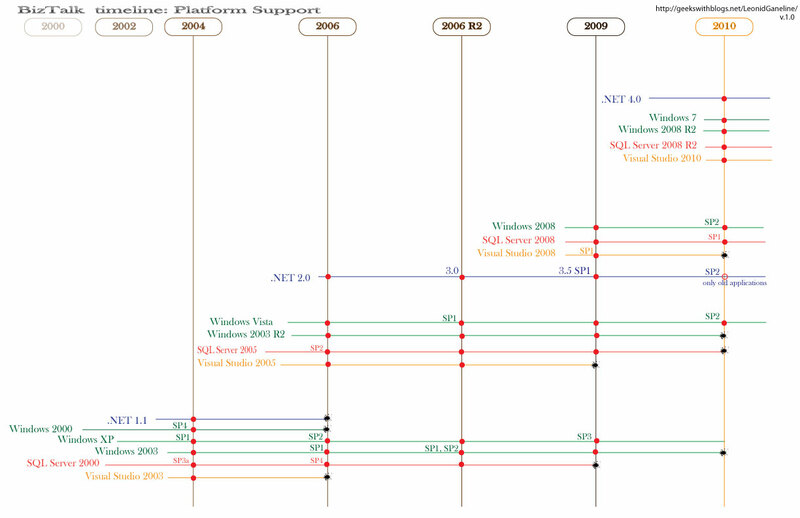 As you can see, the last version of the BizTalk 2010 shifts the platform support to new versions of the .NET, SQL Server, and Visual Studio, and finish support for the previous platform versions. High-quality picture in PDF format. Nice document. You have structured lot of information in a very small space effeciently.